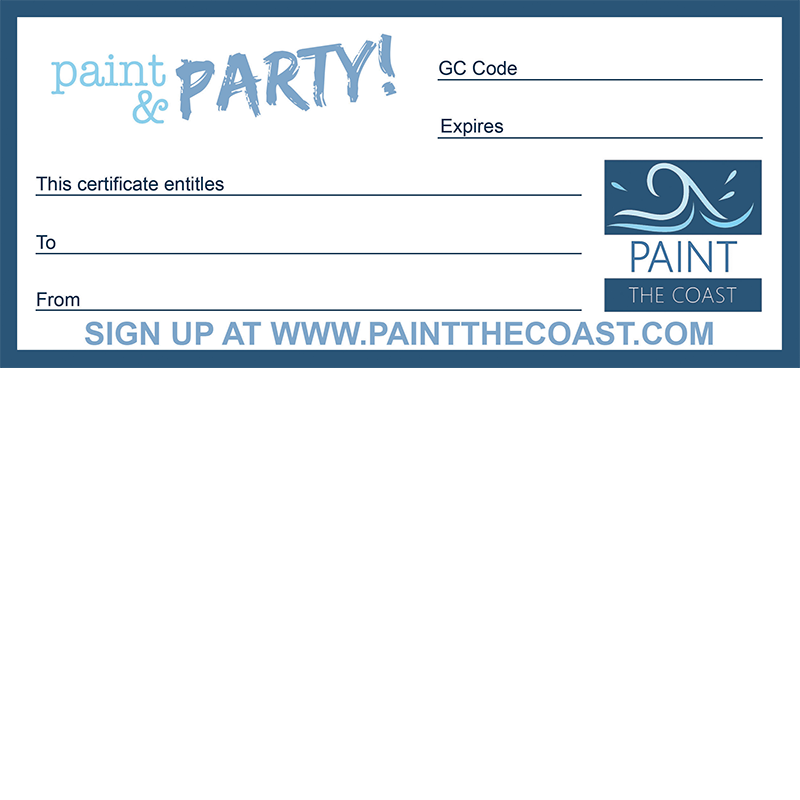 We'll mail your someone special a Paint The Coast gift certificate in printed version. Pretty and easy to give! A gift certificate allows the receiver to select which class they'd like to attend from our calendar of classes. The gift certificate is good for one year from the date of purchase. Classes are held at the Pancakery in Destin and at Café Liquid in Niceville. The Pancakery has a pay as you go bar. You're welcome to BYOB at Café Liquid.